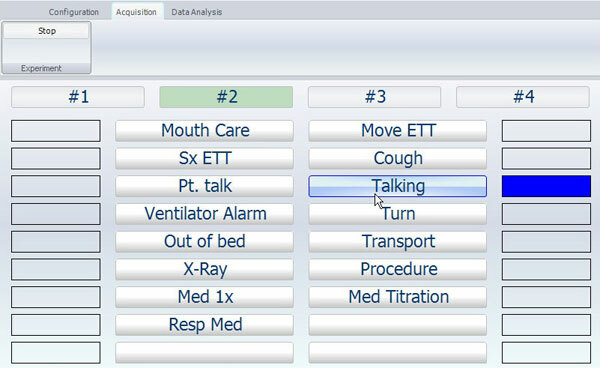 The Spectator Touch Control software makes it very easy to acquire observational data on any touch screen device (e.g. Tablet PC or a standard PC with a touch screen monitor). Just push the buttons with the behaviors and events you configured with your finger. It is really data acquisition on the fly. 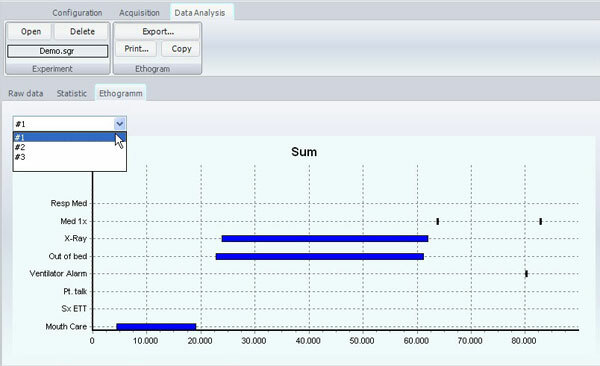 You can save facts about the observation you will do and set some timing parameters. For interval observations, the software will give an alarm sound. You can observe as many subjects as you like. For each behavior you want to log, you can check whether it is a Status (with a duration) or not. You can also check a behavior as Interactive. 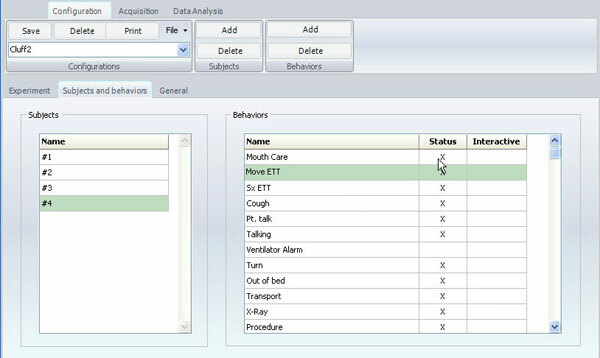 For interactive behaviors, all subjects involved will be logged. 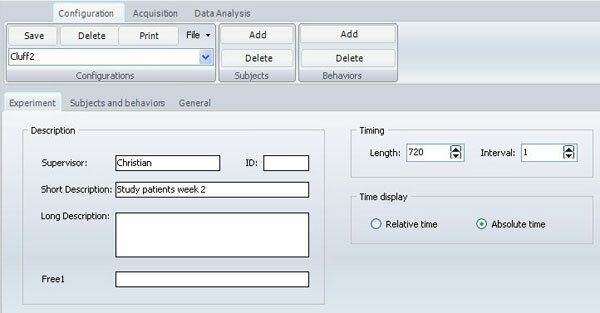 Select the focus subject and push the button for the event you observed. 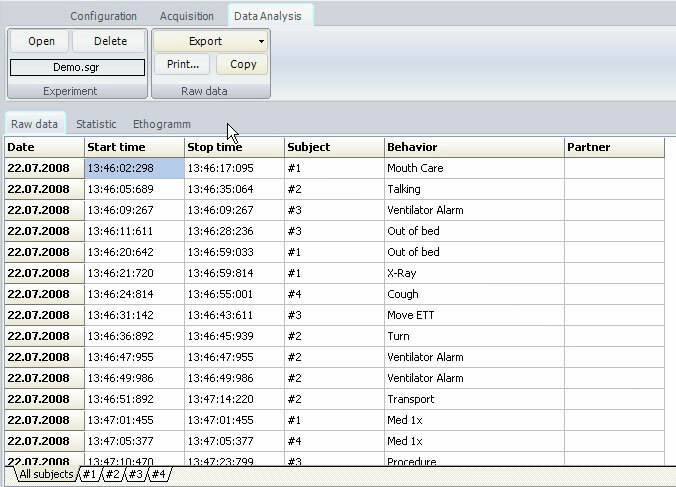 Of course you can code several observations simultaneously and if you switch between subjects, the software keeps track of all ongoing events, even if another focus subject is chosen. Ongoing events are indicted by a blue button, short events show a short green flash button. You get a table for all observations you made but you can also select the subjects individually to see only the data for one subject. The time chart provides an nice overview of the complete observation.